With a unique four-arm spider and Hollowtech II construction putting strength just where its needed, the FC-6800 chainset sets new standards for stiffness and low weight. With smaller, sleeker hoods, the 11-speed compatible ST-6800 STI units deliver improved ergonomics for better rider comfort and control, with reduced lever stroke and lighter action. The 11-speed Ultegra rear derailleur has been redesigned for lighter operation with the help of new low-friction polymer-coated cables. Shifting effort is now more even across the range, with similar force required at both ends of the cassette. With a revised actuation ratio in combination with the ST-6800 shifter and polymer-coated cables, the new Ultegra front derailleur delivers both a shorter stroke at the lever and reduced effort. Long, fast descents demand confidence. Ultegra brakes deliver, with a new symmetrical dual pivot design and twin bearings reducing pivot friction and improving efficiency and controllability. Rider-tuned means Ultegra works the way you want it. The new 11-speed cassettes are available in a range of sizes including a wide-range 11-28 option - one cassette to use all year round. Smooth, fast shifting guaranteed. 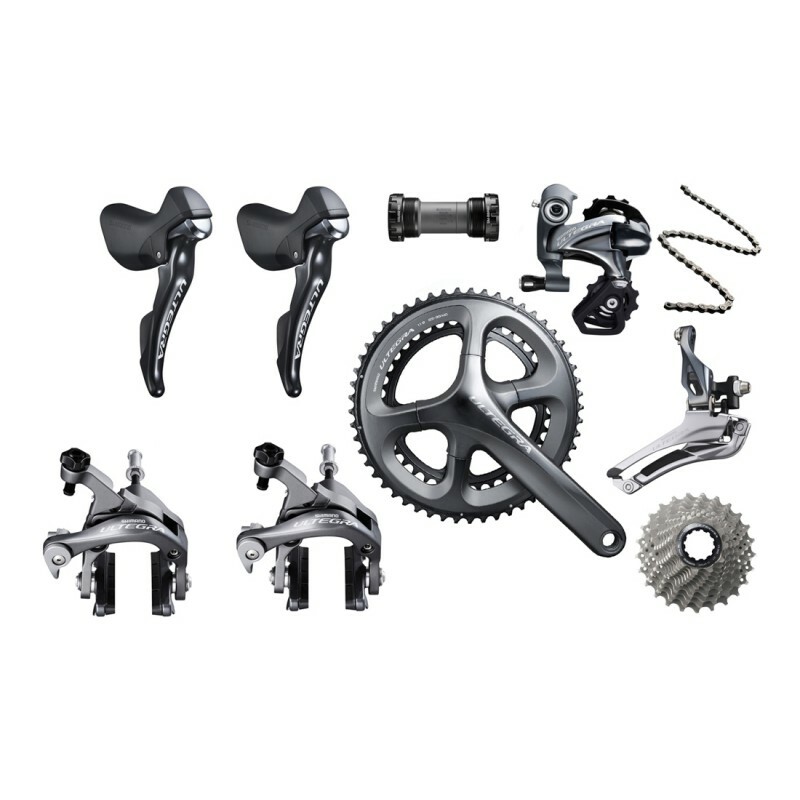 The new symmetrical Ultegra 11-speed chain offers low weight and high durability.